High temperatures can making growing cannabis a lot harder. Droopiness, nutrient deficiencies and overall slow growth are common symptoms of heat stress, whether your plants are indoors or outdoors! We already have tutorials on controling heat indoors, as well as how to help outdoor plants during a heatwave, but are there any marijuana supplements that boost the plant's ability to survive the heat without changing anything else about the environment? Actually yes! There are 3 specific supplements that are known to help some cannabis plants be more overall resistant to heat stress, drought and high temperatures! 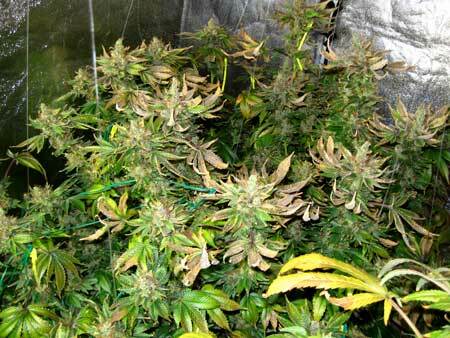 Help your marijuana plants be more resistant to heat stress like this! There are numerous studies showing that seaweed kelp extract is beneficial for heat-stressed plants when used as a supplement. Seaweed kelp extract (available as a liquid or powder) has been shown to increase yields, growth rates, and heat resistance in plants experiencing environmental stress. Kelp naturally contains lots of trace elements and minerals that have protective properties for plants. Studies have shown that supplementing with kelp can increase plant yields, growth rates, and heat/drought resistance for many species of plants. Besides protecting against heat, kelp supplements may also enhance seed germination, increase uptake of plant nutrients, and give more overall resistance to frost and fungal diseases. Humic acids are naturally found in the soil, but adding extra can be beneficial. Plant supplements for humic acid are usually derived from leonardite, a substance that is mined near the surface of lignite deposits (lignite is sedimentary rock that formed over millions of years from compressed peat). It is a waxy, brown substance. Humic acids have protective abilities and can help cannabis plants deal with water stress and drought. Additionally, there is quite a bit of evidence (mostly with many different types of grass, but also with plants like soybeans and corn), that combining humic acid supplements with seaweed kelp extract actually increases the overall effectiveness of both supplements. They may have a synergistic relationship! Not only do humic acid supplements help protect the plant against water stress, they may also enhance the heat-resistance benefits of using sea kelp extract! Silica is not a "required" nutrient and your plant won't suffer from Silica deficiencies. However, supplementing with extra silica offers additional support to plant cell walls. This can help the plant be more resistant to heat and other types of stress. Whenever possible, try to get a silica supplement from the same manufacturer that makes your base nutrients to help ensure everything works well together. Silica supplements strengthen plant cell walls. This not only makes cannabis plants more resistant to heat, it also helps prevent stems from breaking when buds get big and heavy! Every strain is different, and some strains of marijuana are easily stressed by heat, while other strains would thrive in the exact same environment! 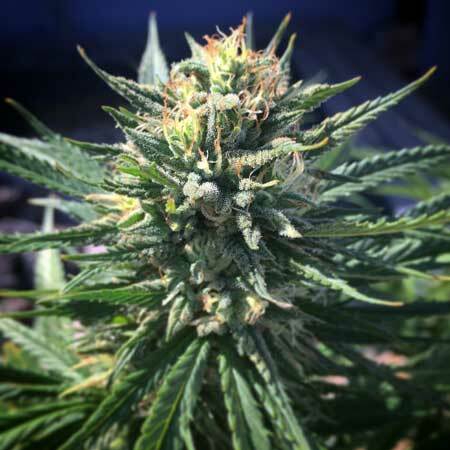 Sativa, Haze, African and Hawaiian strains all tend to be more heat-resistant since they originate from hot climates. 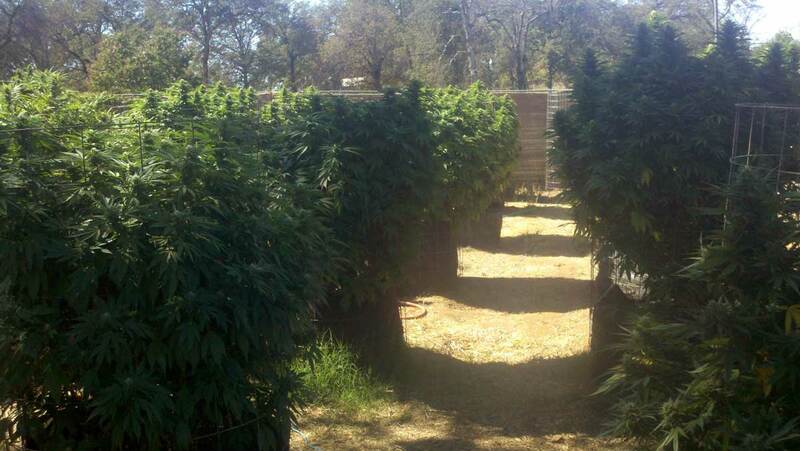 Many Indica plants, which also come from cool climates, can be surprisingly sensitive to the heat. Example of a Heat-Resistant Cannabis Strain! 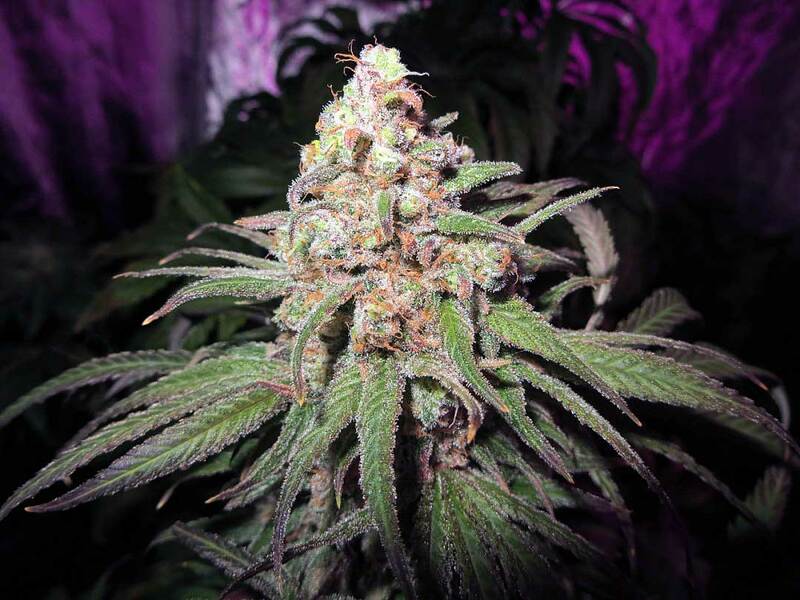 The Kaya Gold strain thrives in the heat. This plant experienced many days over 100°F (38°C) yet plants were unfazed! What are your heat stress secrets? Let us know! Using Coco Coir as a Growing Medium <– One of the most heat-resistant growing mediums!